Choosing the right shelving is essential for any business. Whether you have a store, an office, or a warehouse, the right shelving will make you more productive. It can take the hassle out of storage, improve business process efficiency, and allow you to get much more from your available space. This could even prevent you having to move to a larger location, and it can therefore have a huge impact on your business. But how should you choose the right shelving for your needs? Here are some of the most important factors to consider. Firstly, you have to choose the right type of shelving for the types of products you store. If you are looking to learn how to improve productivity, this is one way to do it. If you have a warehouse with large pallets, you will need a specialist shelving system to store these. If you have an office and your storage requirements are limited to folders and books, this requires a very different type of shelving solution. It’s the same for retail shelving. Do you sell large merchandise, or smaller and lighter items? There are many options to consider, such as freestanding shelving, floating shelves, slatted gondolas, and more, so look at the different shelving available. There are many places to buy business shelving. 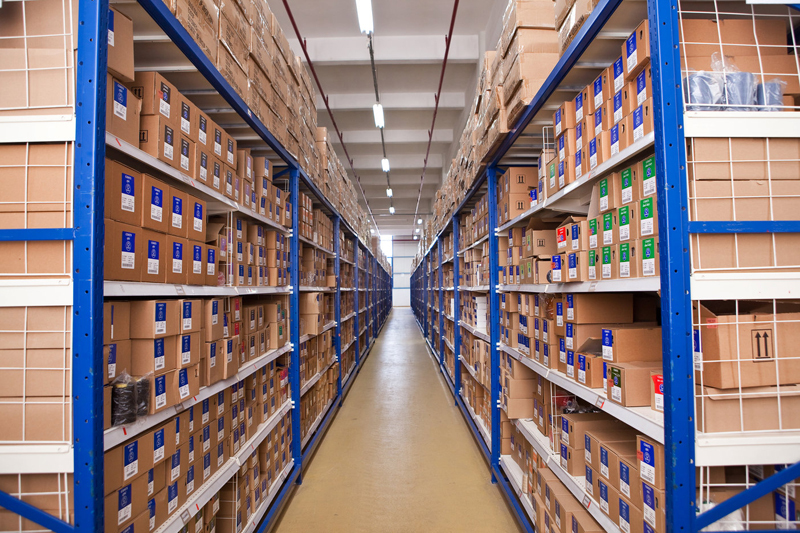 You may want to consider an online retailer, like Store Supply Warehouse for all of your retail shelving needs. However, you may prefer to visit a storefront if you need to size office shelving before buying it. You would not visit a Chicago gourmet store to buy hot dogs and cheetos. Remeber to consider your needs before you begin shopping. Then, price shop to determine the best place to shop for your business shelving. If you own a store, you will want to choose shelving that helps rather than hinders your customers. For example, gondola shelving can be perfect for creating a convenient layout, which can help your customers to shop in comfort. For a company warehouse or office, you will want to make sure your employees can get easy access to the whole premises without the shelving getting in the way. This means you have to think carefully about where the shelves will go and the overall design of your space, and you need to choose your style of shelving accordingly. Also, always choose the right type of shelving for the space you have available. A small store requires small shelving that showcases the merchandise without getting in the way. Consider slatwalls or slatted gondola units if standard gondola shelving is too bulky. Another thing to consider is the aesthetics rather than just the practicalities of your shelving solution. This may be less important in a warehouse or factory, but it can be an essential consideration in a store with your retail displays. You want to create the right impression of your store for customers as soon as they enter, and the style of shelving you choose will present a certain image of your company. For example, you could opt for a vintage or modern look, and you can choose from materials like glass, metal, wood, and plastic. Look at a wide range of options to choose the one that is right for your business so you get the style right. These are a few of the most important considerations when choosing your shelving. But what about the actual shelves available? There are many shelving solutions available, and here are some of the main ones to consider. Rivet shelving is durable and reliable, but it is not particularly aesthetic. This is used more often in industrial settings, and it is ideal for warehouses, not a senior care franchise. It is also easy to put up, making it a practical option. Pallet racks are also good in warehouses. These allow you to store upwards so you can maximize the space available, and they are ideal for large industrial settings. Wire shelving comprises metal wire frame and mesh to create a strong but lightweight shelving solution. It’s ideal where cleanliness is required, like where you are storing food, and it is also more suitable for large items. There are various types to consider. For example, a mobile wire shelving unit may use a ball caster in its design so that it can be moved around on the floor while handling heavy loads. In an office, mobile shelving is a smart and innovative solution that takes up less space than standard storage when designing your office. The rows slide out so you can place them right next to each other to save space, then just slide them open when you need to access a file. There are so many more types of shelving to consider, many more than can be mentioned here. The best option is to look carefully at your requirements, your products, and the style of your premises, and choose a shelving solution that is right for you. The right type of shelving can make a huge difference no matter what type of business you run, so keep these considerations in mind and make your decision carefully.